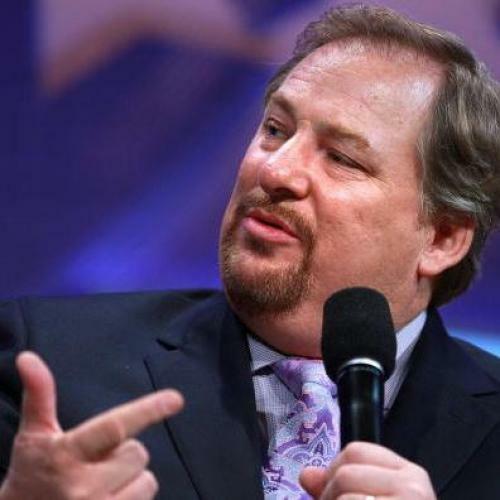 Mega-church pastor and best-selling evangelical author Rick Warren announced earlier this week that he plans to hold a presidential forum, as he did during the 2008 campaign. Warren has not yet set a date for the event, nor does he have an agreement with the Obama and Romney campaigns for their participation. But both candidates have at least some reason to consider accepting the chance to discuss their faith publicly. I won’t review the reasons why many American voters like to hear about the faith of their presidential candidates. And, yes, Romney continues to deal with questions about Mormonism while Obama is still attacked by conservatives who charge he is a secret Muslim. But the reason both men might benefit from talking about something as personal as faith in a national forum is that many voters are still struggling to get a handle on who these private, introverted men are. That became clear two years ago when the Pew Research Center released a study indicating that Americans knew less about Obama several years into his term than they did while he was running for the presidency. In that study, a plurality of Americans (43%) said that they had no idea what religion Obama practiced. During the 2008 campaign, 51% of Americans could identify Obama as a Christian; barely one-third could do the same by August 2010. And lest you think that trend was purely the result of Fox News misinformation, it held true for Democrats in general and for African-Americans. Between 2008 and 2010, the percentage of Democrats who said they knew Obama was a Christian dropped from 55 to 41%. Still, before Obama RSVPs for Warren’s forum, he should keep in mind a few important points. The first is the setting. The sanctuary at Saddleback Church seats approximately 5,000 people. If I’m remembering correctly, in 2008, both the Obama and McCain campaigns were given 100 tickets to distribute to their supporters. The remainder of the seats were filled by Saddleback members who donated up to $500 in order to attend the event. That means the presidential candidates spoke to a crowd that was not just overwhelmingly evangelical, but older, wealthier, and likely more conservative than the average evangelical gathering. In his announcement on Monday, Warren said that 5,000 tickets to this year’s event would be distributed through a lottery system. If that’s the case, then the Democrats would be wise to get as many of their supporters as possible to enter that lottery. Even if Obama supporters end up with a fair number of seats at the forum, the campaign’s communications team needs to be smarter than it was in 2008 about setting expectations. In the last campaign, the Obama team acted as if the Saddleback forum was just an ordinary campaign appearance at a neutral site instead of the first-ever presidential forum hosted by a Southern Baptist pastor for a conservative evangelical crowd. If Obama’s flacks had done their job, their spin to reporters would have been that Obama won just by showing up to the event and being willing to field questions. But they didn’t, and post-forum coverage focused on the difference between the slightly chilly reception the crowd gave Obama and the warm welcome that McCain enjoyed. Finally, Obama should consider that Warren either lied about his plans for the 2008 forum or bowed to pressure from other conservatives regarding the topics up for discussion. In the week before the earlier event, Warren told TIME’s David van Biema that his questions would center on four areas: poverty, HIV/AIDS, climate change, and human rights. “There is no Christian religious test,” said Warren. In the months following the forum, Obama aides didn’t bother to learn much more about Warren. That became clear when the pastor was invited to give a prayer at Obama’s Inauguration, and political liberals reacted with outrage, citing Warren’s endorsement of the anti-gay marriage Prop 8 in California, his controversial comments about homosexuality following the election, and a Fox News appearance in which he agreed that the President of Iran should be assassinated. There’s nothing wrong with Obama agreeing to another forum at Saddleback. But he needs to know his aides aren’t sending him into a lion’s den unprepared.